A country hotel like no other. Contemporary and stylish but packed with character. For a country house hotel like no other, visit Barnsley House: think of it as your very own Cotswolds retreat. Surrounded by famous gardens and ancient meadows, Barnsley House is a stunning escape in which to relax and unwind, complete with a luxurious spa.Spoil yourself with holistic and beauty therapies at the Barnsley Spa & Skincare Centre. The spa has been specifically designed to carry the tranquillity of the gardens to the inside; this sense of peace and repose is heightened with floor-to-ceiling windows, an abundance of plants, aromatic herbs hanging from the beams, and many more fine details. The spa consists of five treatment rooms, steam room, sauna, relaxation room and outdoor hydrotherapy pool. Indulge in a treatment with Aromatherapy Associates products for a real treat. Barnsley Spa & Skincare Centre is all about relaxation. 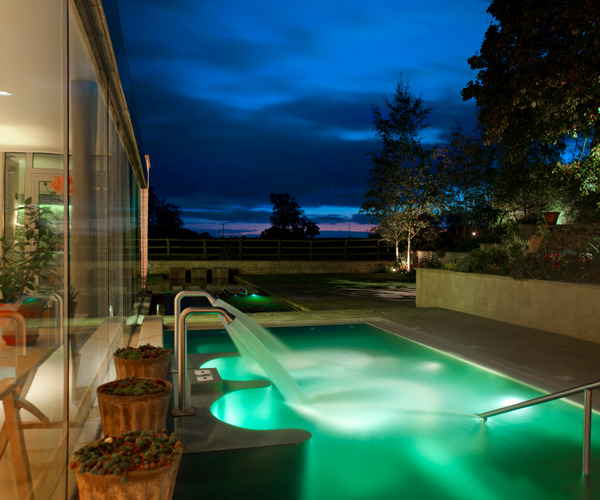 Book a pampering treatment in one of the five treatment rooms, explore the heated outdoor hydrotherapy pool (perfect for a dip under the stars! ), and sweat it out in the steam room and sauna. Designed by Stephen Woodhams with the intention to create a perfectly tranquil environment for guests, every detail of the spa and treatment rooms alike have the comfort and convenience of guests considered. Floor-to-ceiling windows overlooking the impressive grounds ensure that guests are never too far to admire the impressive grounds that the Cotswold countryside has to offer. With an extensive range of treatments to refresh your mind, body & soul, let yet your troubles melt away in Barnsley Spa & Skincare Centre as you spoil yourself with a choice of holistic and beauty treatments. With 18 stylishly-decorated rooms to choose from, not to mention the Home Farm Cottage, guests are spoiled for choice. Each room has it's own character, designed to ensure that no two bedrooms are the same, each offering something completely unique. Every bedroom, bathroom & sitting room boasts a wide-screen plasma or LCD television, so why not take advantage of the extensive DVd library, accompanied by a comlimentary refeshing drink for your own fridge mini-bar for guests convenience? With traditional stone fireplaces, wooden floors and beams and the modern furnishings of top interior designers, Fox Linton, enjoy stunning views of the gardens and meadows, or perhaps relax on your own private terrace. Dine in the Potager Restaurant, which offers delectable cuisine and beautiful views of the gardens. 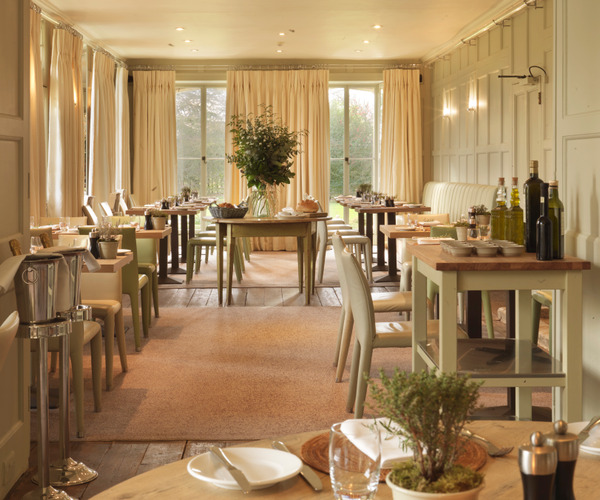 Head Chef Graham Grafton is passionate about using local produce from the Kitchen Gardens to create English dishes with an Italian twist.